When creating an email campaign, a blog post or even a landing page, the main aim of the game is to encourage the reader to click that all important call-to-action. Too often, email campaigns can be littered with too much text, too many images and the purpose of the communication can be lost. With the majority of people’s lives now being completely taken over by digital communications, there is a constant battle that most of us fight in order to be heard. With this in mind, here are my top tips on how to create a ‘Killer Call-to-Action’. Don’t have the door slammed in your face! Imagine the embarrassment?! Bounce rates are a really important way to measure success in your content – if people are clicking through but not going any further, why? Compare historic campaigns, see what’s worked and what hasn’t. If you’re unsure combine the ideas and create an A/B test. It’s crucial that you identify what you’re doing right. Take a moment to really think about who you have in mind for this product or service. What would impress them? What would make them want to find out more? This is very important – if you get this wrong it could be the difference between failing or succeeding. Take inspiration from previous campaigns, make sure it’s in line with your brand and put yourselves in your customer’s shoes. Don’t just blend in… stand out! Be clear and concise. Shout that message loud and clear so your visitor knows exactly what you want them to do. Always have someone else check your work – whether internally or externally, ask an opinion. You need to ensure that your instructions are obvious and clear to everyone – not just one segment of your audience. The big red button, the one that says ‘do not press’ – the temptation is always there no matter what the situation! But you want people to press the button. You need to entice your audience into not only reading your communication but to interact. Include images, include their ‘reward’ – if it’s a freebie, a service or a hot piece of news – make them want to click and not leave without doing so. Include your call to action from the onset – if in an email campaign, make it bold big and easy to access. Right at the top. Ensure the call to action is at the top of high traffic pages. Response rates will be much higher from those above the fold than below, so bear this in mind. 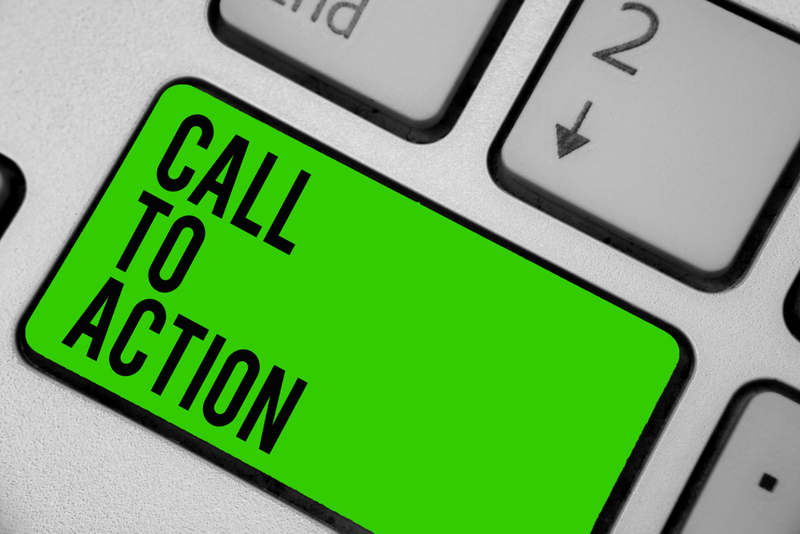 If you have more than one call to action – organise these in order of importance. The most relevant and the most desirable call to action should take first place, with any secondary offerings featured further down the page. Still stuck for ideas? Not quite getting the response you want? Here at Simply Marcomms, we offer bespoke PR and Marketing solutions for businesses across the Construction, Energy and Facilities Management sectors. Whether it’s help in executing successful email campaigns or something a little bigger – we have lots of solutions, combined with great success stories and experience in representing firms at B2B level.